September 29, 2016. from 5pm to 8pm. 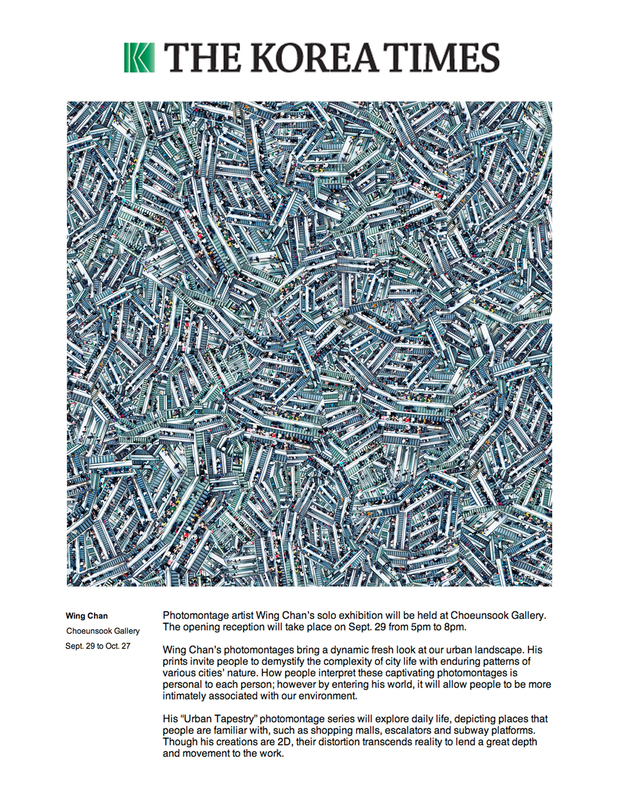 The photographer/artist Wing Chan will be present for the Opening Reception. Wing Chan’s photomontages bring a dynamic fresh look at our urban landscape. His prints invite us to demystify the complexity of city life with enduring patterns of the cities very nature. How we interpret these fascinating photomontages is personal to each of us. But by entering his world, it will allow us to be more intimately associated with our environment. 윙찬의 사진 몽타쥬 작품들은 거친 도시의 구조물로부터 다이나믹한 새로움을 이끌어 내는 그의 능력을 그대로 반영합니다. 그의 표현주의는 도시 생활의 분주함 속에 도시 본연의 심미함을 볼 수 있게 하는 초대장과 같습니다. 각자의 다른 시각과 해석으로 그의 작품세계를 바라 볼지라도, 모두 우리 주변 환경에 한 걸음 더 다가가게 되는 계기가 될 것입니다. 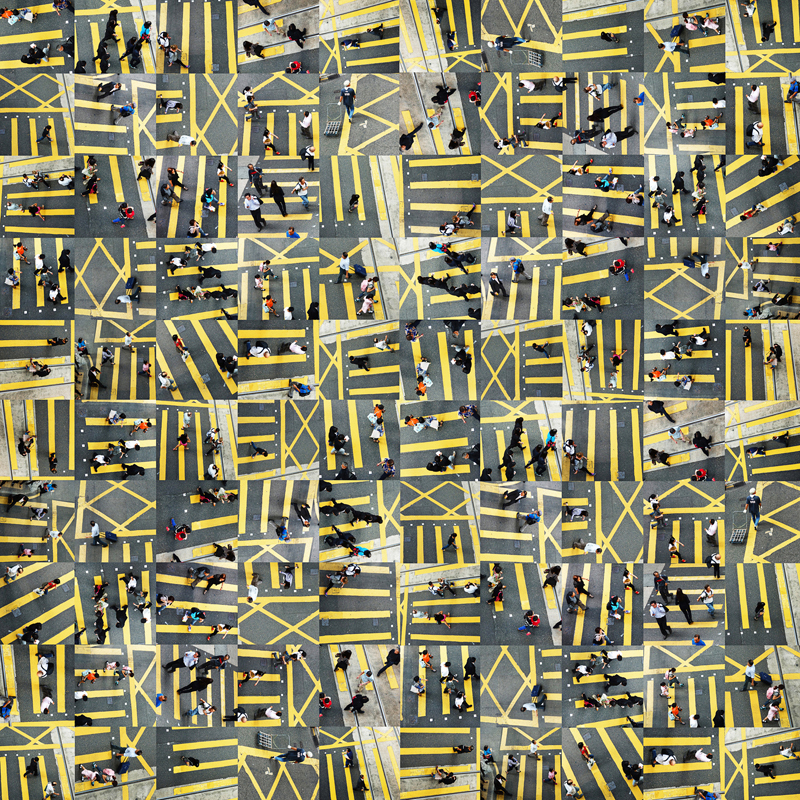 Wing’s “Urban-Tapestry” photomontage series explores the daily life of the city. 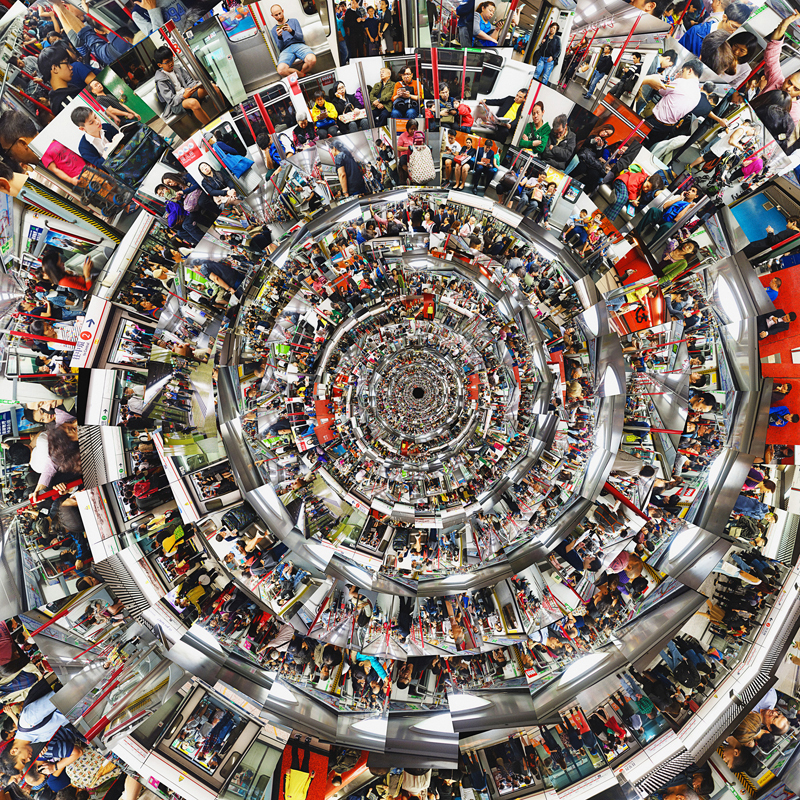 The images are of places we all know such as shopping malls, escalators, subway platforms and passengers inside the trains. We tend to forget people and what is around us as we get so caught up in the bustle of urban life but they are the heartbeat of our urban fabric. 윙찬의 “도시 태피스트리” 포토 몽타주 시리즈는 도시의 일상 생활을 탐구하여 드러냅니다.이 이미지들은 쇼핑몰, 에스칼레이터, 지하철 승강장, 열차 안 승객들 등 우리가 익히 알고 장소들입니다.바쁜 도시 생활 속에서 우리는 그 안에 살고 있는 사람들과 그 주변의 사물들을 쉽게 잊곤 하지만,그들이야 말로 이 도시 조직의 핵심적인 특징 일 것 입니다. 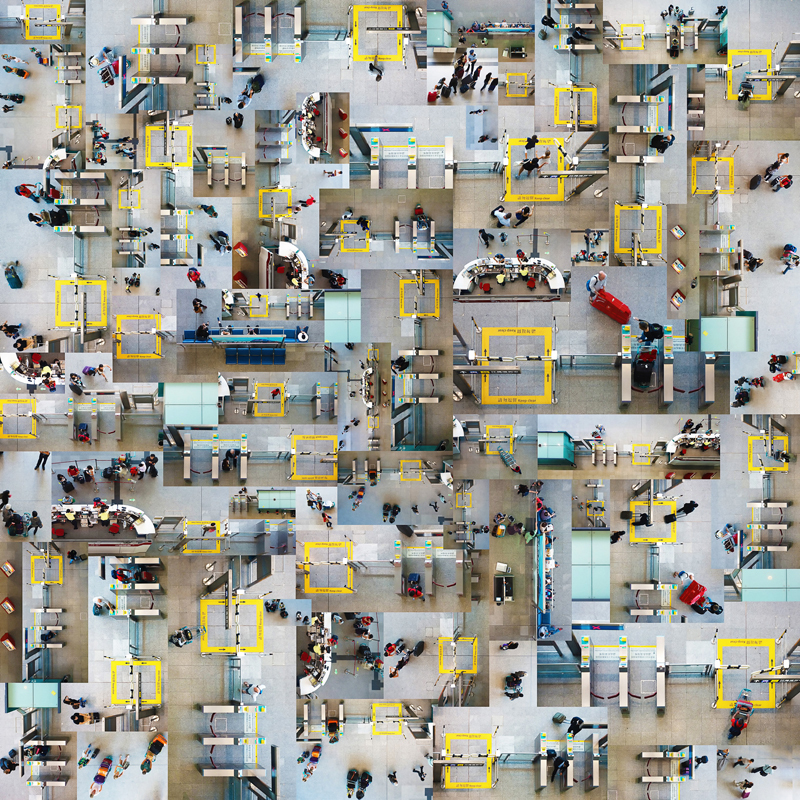 By capturing and building up multiple photographic images into a complex whole he creates a visual harmony out of the chaos of city life. The rhythm within these photomontages allows the viewer to look again at the city and to decode the images in their own way. 윙찬은 멀티 이미지들을 하나의 ‘복합적 총체’ (a complex whole) 로 캡쳐하고 재 구성함으로 도시 생활의 혼돈 속에서 조화를 잘 나타냅니다. 이 몽타주들에 내재된 ‘규칙적인 흐름’ (the rhythm) 은 보는 이로 하여금 이 도시를 다시 한번 돌아 보게 하며, 우리 자신만의 색채로 재 이해 하도록 이끌 것 입니다. Wing Chan was born in Hong Kong in 1962 and grew up in the shadows of the old Kowloon Walled City. This was a very different city to modern day Kowloon, and Chan’s formative experiences were embedded in that hardened era. At the age of six, he started out working in a noodle factory, in what was then a rough neighbourhood near to Kai Tak airport. But diligence with his studies enabled Chan to excel at school, and at 18 he left Hong Kong to pursue his vocation for art in the United States. including operating his own graphic and branding firm in New York City with clients including Giorgio Armani, Emporio Armani, American Express Private Bank, and Standard Chartered Private Bank. (Hong Kong), pen magazine, World Corporate Profile Graphics, World Trademarks and Logotype (Japan), Korea for Expats, Korean Times (South Korea) and art publications based in China, the United States, Japan, France, Sweden, Denmark, Germany, England, and Spain. In 2011 Chan relocated to rediscover his roots in Hong Kong. 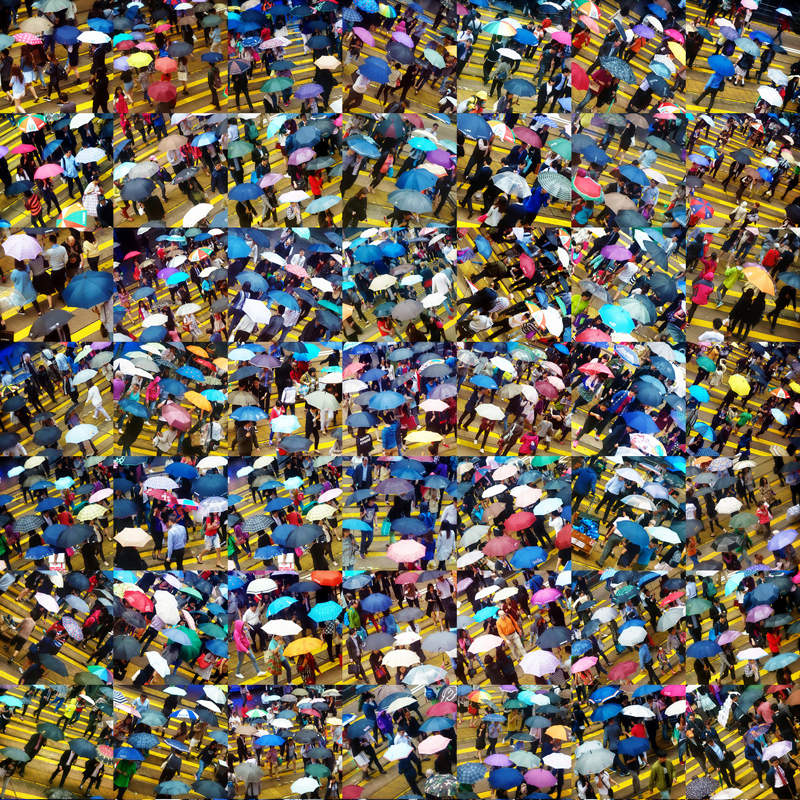 Focusing on his photography and photomontage and inspired by the wealth of subject matter in Hong Kong and other cities such as New York, Seoul, and Paris, he continues to apply his mastery of observing the urban lives and activities, forms, shapes, colours and textures to the creation of his conceptual fine art photomontages. 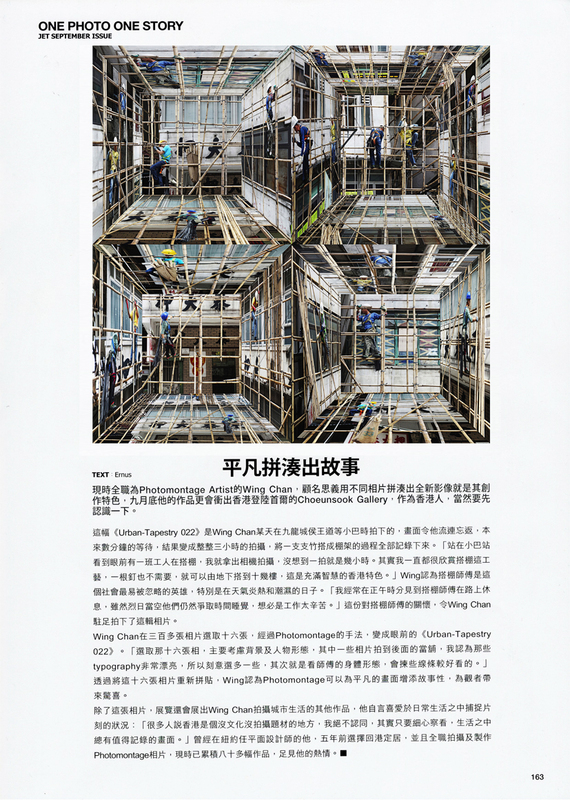 Chan has held exhibitions of his photomontage work in Paris, Korea, Hong Kong, Singapore, and Bangkok. He has conducted Art Talks at The Affordable Art Fair Hong Kong, Hong Kong Art Gallery Association, and Hong Kong Photo Imaging and Camera Expo (PICEX). He is also a regular guest speaker at Island School. on Thursday September 29, 2016 with a cocktail reception from 5pm to 8pm. 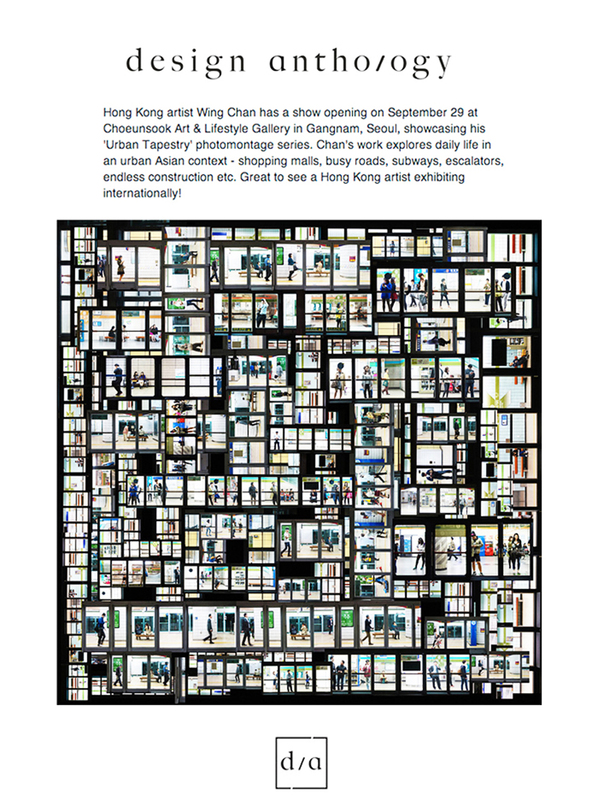 The photographer, Wing Chan will attend the opening reception. The exhibition will continue until Thursday October 27, 2016.